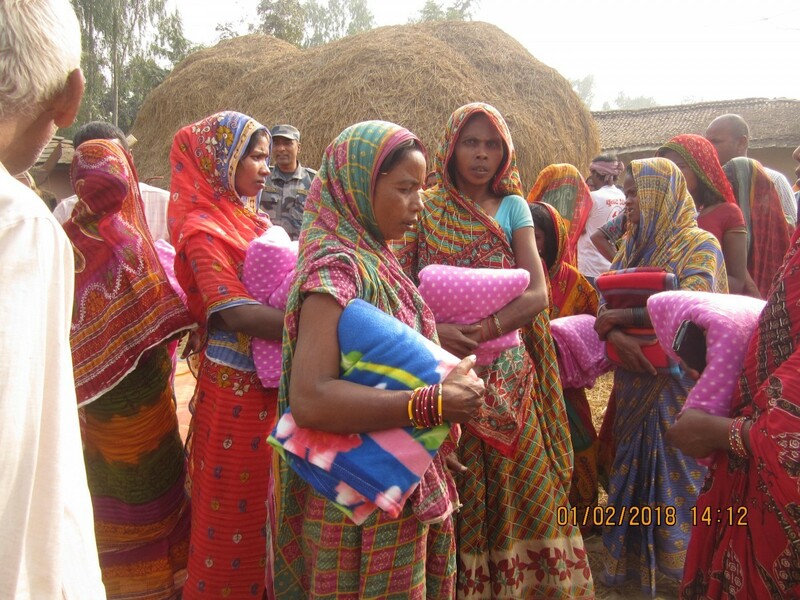 In winter people shiver with cold.For those who cannot afford warm clothes or a blanket, they are fighting with the cold. People usually say that thousand of people die of cold, but we say that they die due to lack of warm clothes and blankets. 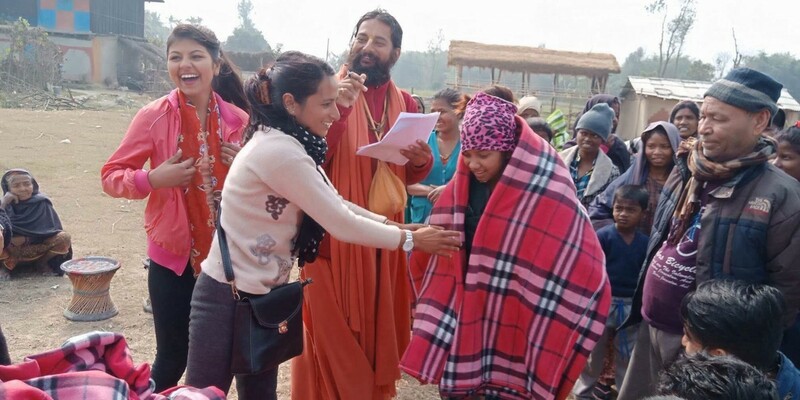 Poor and helpless people sleep in rags at footpath and roadside and die of cold. These poor people sleep close to each other during cold waves but how one can sleep sound without blanket in such conditions. 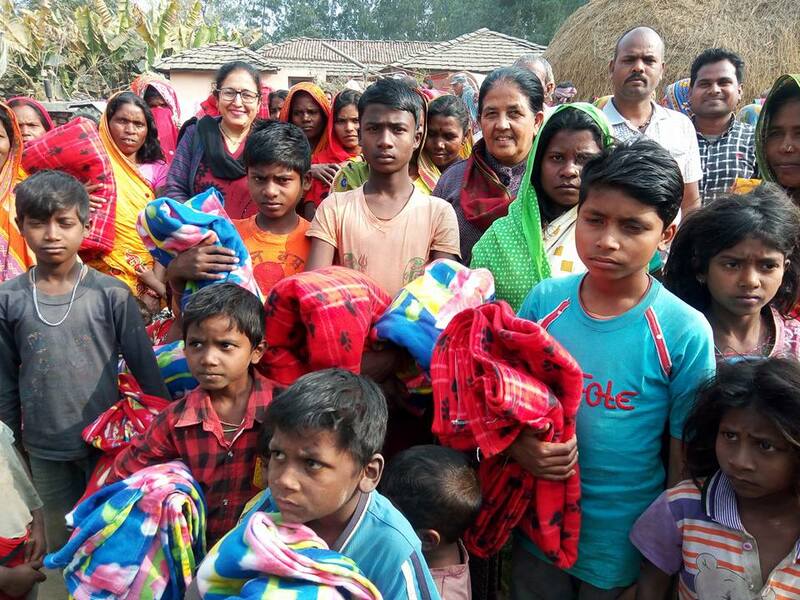 They shiver due to cold breeze all the night and some old age persons die of these waves. 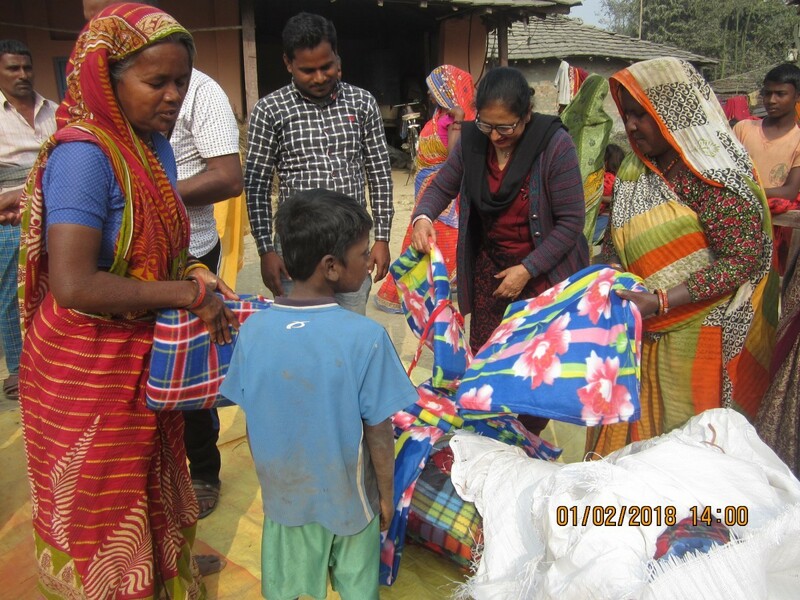 There are many under-privileged who cannot afford even a blanket and die – without a roof or cloth on their bare bodies – to add one more to the count of deaths in Terai region of Nepal due to cold wave every year. 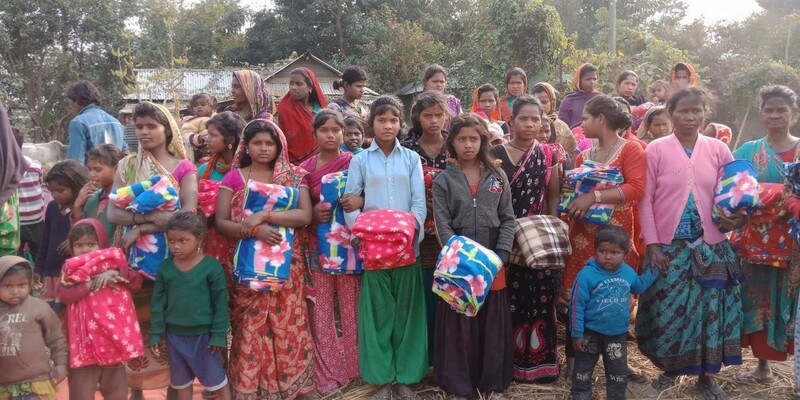 For getting relief from cold, The Women’s Foundation of Nepal distributed the blankets to over thousands of deprived, poor helpless families in the Mohottari (Province 2), Jhapa and Sunsari (Province 1), and,Sindhupalchowk (Province 3). 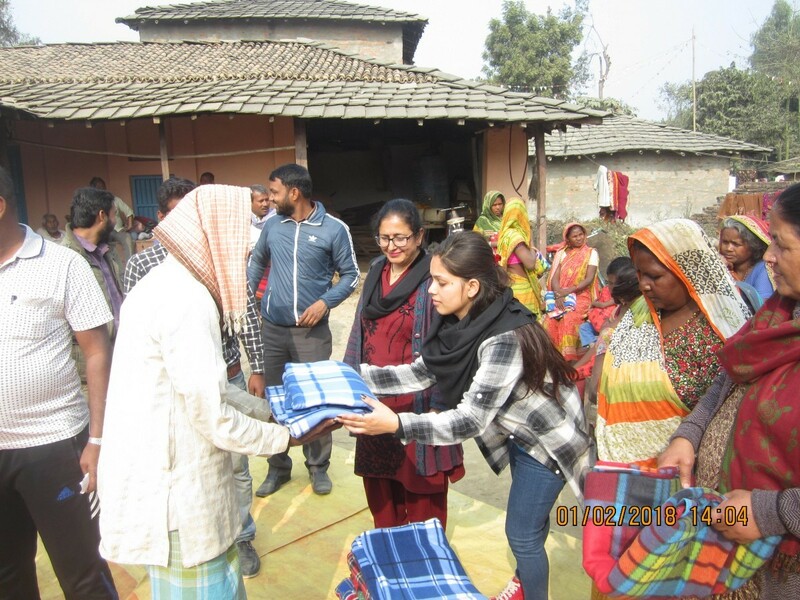 Our team distributed the blanket to those needy people so that they can protect themselves from the cold in winters. 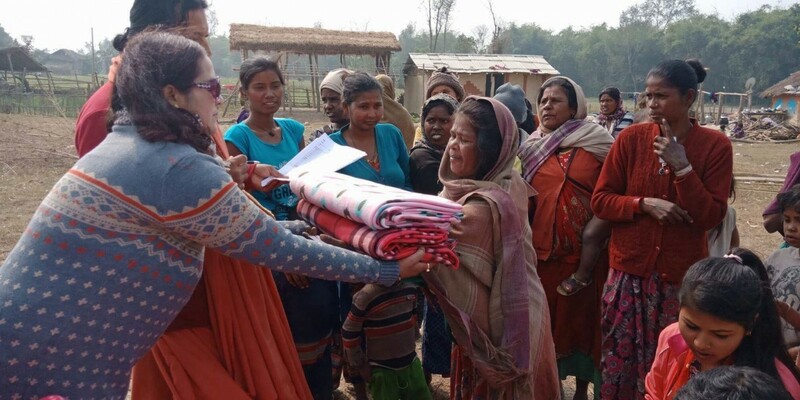 To make this program successful, many people played their vital role directly and indirectly. 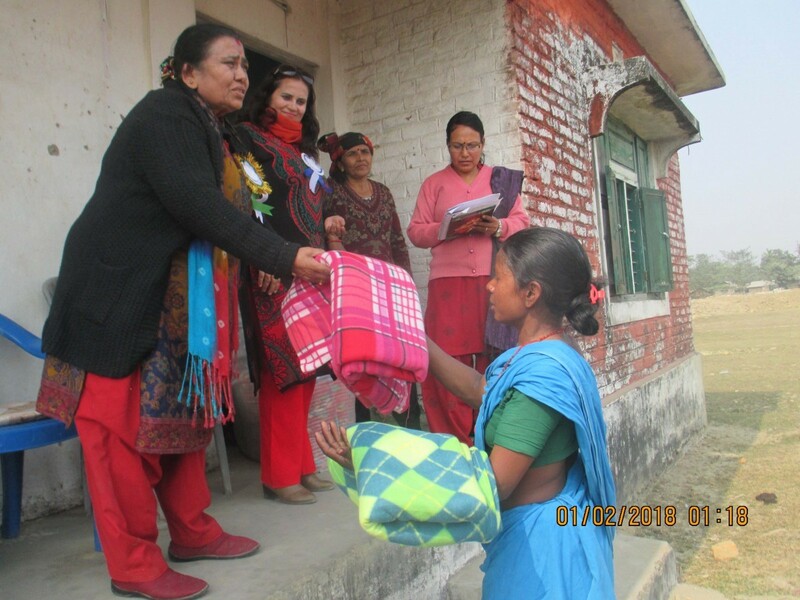 We convey our gratitude to Provincial Assembly Member Ms. Sahshi Kala Dahal, APF SP Kumar Neupane, Inspector Aambika Karki, Shree Bibekananda, Head of Ward Bishnu Lal Chaudhary, Mayor Shree Dhurba Kumar Siwakoti and Assistant Mayor Pabitra Mahara ( Prasahi ) , Head of Ward Nagendra Sangraula and Ward member Tara Bhattarai, Provincial Assembly Member Rajendra Lingden, Head of Ward no. 1 Melamchi, Krishna Prshad Chaulagain, WFN branch office and its members; and all other people who are involved in this social cause.